Anjar is a town and a municipality in Kutch district in the state of Gujarat, India. The landscape is dry and sandy, and it depends entirely on well irrigation for water. The town is situated nearly 10 miles from the Gulf of Kutch. With more than 1,400 years of history, founded around 650 AD, Anjar is the oldest city in Kutch. Anjar is also referred to as the ‘City of temples’, as it is home to a number of significant and ancient temples. Among the most famous, are Shree Swaminarayan Temple, Bhareswar Mahadev Mandir and Bhid Bhanjan Mahadev Temple. Other places of religious importance in the town include the Jesal-Toral Grave, situated near the Ajepal Dada Mandir. The town also has three lakes in its surroundings. Anjar is named after Kshatriya Chauhan ruler, Ajepal Chuhan (Ajay Pal). 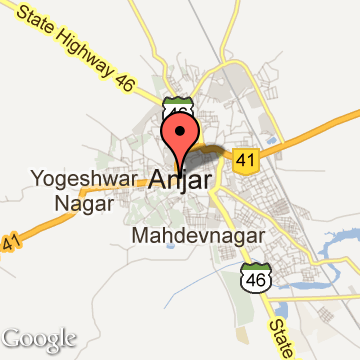 The city was originally known as Ajay Vas after him but over the years the name changed to Anjar. Ajepal, brother of King of Ajmer, Rajasthan settled in the city to protect the country and defend against the invasion of Khalifa across the sea. He established the first coastal security center in Kutch. He died due to a mortal wound suffered while fighting Khalifas in Vikram Samvat 741 (around 685 A.D.). He is worshiped as a Peer and his Samadhi and temple is located on the road to Anjar railway station. The first settlers to arrive with Chauhan Ajeypal were group Rajput clans like Chauhan, Chawda, Chudasama, Jethwa, Rathod, Vadher, Vaghela, Sawaria, Solanki, Khodiyar, Parmar, Bhatti, which entered Kutch from varying degrees from 7th to 12th Century. A major group of whom entered in 12th century AD and established themselves at Dhaneti. Later from 7th Century to 12th century onwards they moved out of Dhaneti to settle themselves between Anjar and Bhuj. Anjar Tourism - Get all information on Anjar tourist places and sightseeing tours. Our website helps you plan your next tour and gives you great ideas on what to do, where to eat, where to stay and when to go there. We give the best information from the web to give you precise, meaningful and useful travel guide for leading places to visit in India and from across the world. Our travel information on ANJAR tourist places, tourist attractions, major sightseeing, the best time to visit, the top places to visit in Anjar, the must-see things to see and do, maps, restaurants, hotels, nearby tourist destinations, local public information and more. 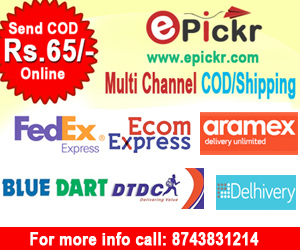 To start with check out information on how to reach Anjar.